Having the absolute highest quality high contrast lens system in the industry ourD-750 night vision Multipurpose Viewer is unmatched. These state-of-the-art lenses mean more light gets to the image intensifier tube and more light equalsbetter performance. Using the latest Pinnacle image intensifier tubeand manual gain control technology simply makes this device the ultimate nightvision Multipurpose Viewer for medium caliber weapons! The hand selected Pinnacle Image Intensifier Tube makes this unit rise above all others in both clarity and performance. 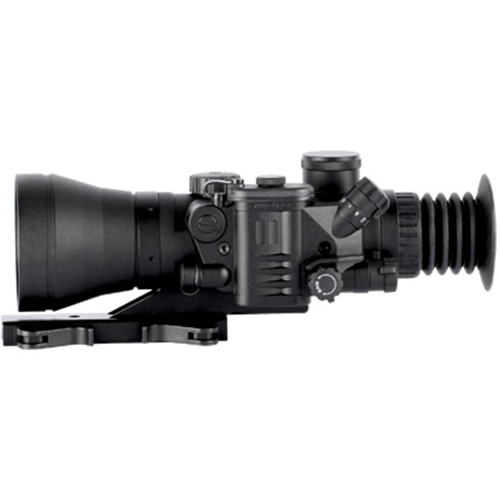 The D-750 4x weapon Multipurpose Viewer is the cutting edge development in night vision Multipurpose Viewer technology. The compact design packages unmatched user controls and extraordinary optics in a rugged housing. 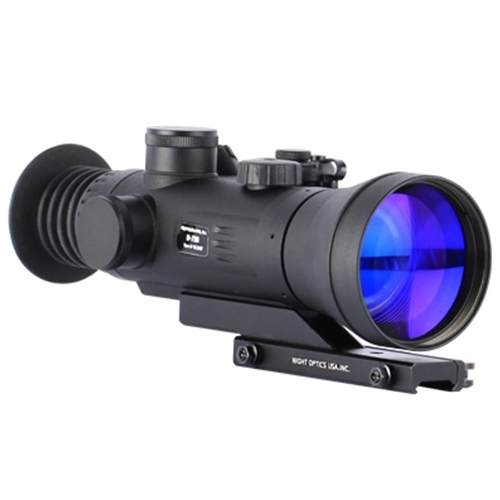 Standard features include top of the line optics, a waterproof and purgeable housing; Mil-Dot illuminated Amber-on-Green reticle; multi-coated optics; manual gain control; and a quick-release weapon mount. With guaranteed zero retention on medium caliber weapons, these are the systems of choice for Military and Law Enforcement professionals as well as night hunters. The D-750 4x night vision Multipurpose Viewer features newly refined multi-coated optics with a 25-30% improvement in image clarity, brightness and contrast. A completely redesigned power supply/control module offers distinctly improved ergonomic placement of system controls for quick and accurate adjustments without diverting attention from the acquired target. 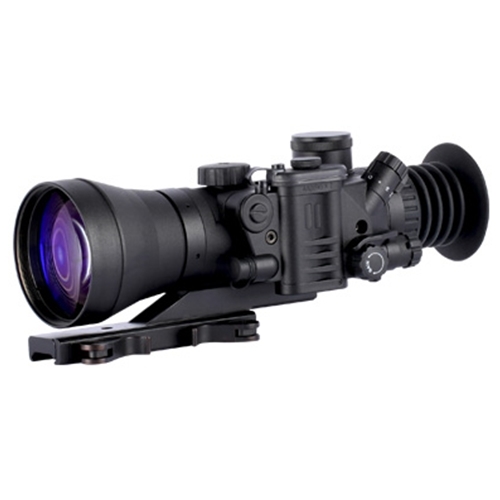 Other standard features include manual gain control; illuminated mil-dot reticle with brightness control; focus, precision windage and elevation adjustments; and a high performance quick-release weapon mount. Hand-built to order right here in the United States, you can rest assured that your Multipurpose Viewer will arrive ready to do the business! The Night Optics D-7xx series family of rifle Multipurpose Viewers is known throughout the industry for their superior quality and performance and are the perfect compliment to any night time shooter's setup. Dimensions 9.2" x 3.8" x 3.1"